* Austin E. Owen Research Scholar & Professor of Law, University of Richmond School of Law. The author thanks all involved in conceiving and executing this fabulous symposium. 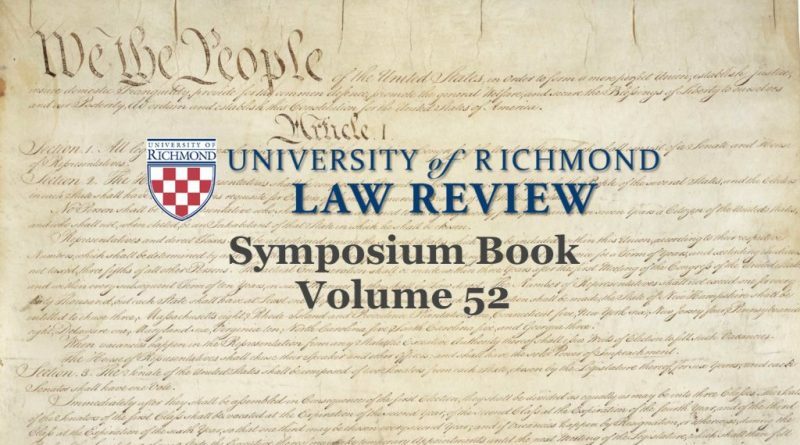 I am grateful to my colleagues at the University of Richmond School of Law for their thoughtful comments on this essay. ← States Suing the Federal Government: Protecting Liberty or Playing Politics?